Gator and pork done up in a special Louisiana-style seasoning. 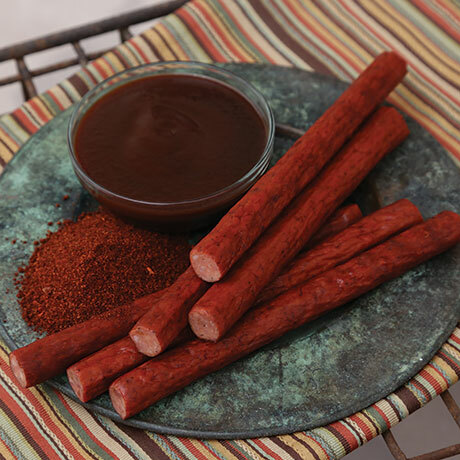 Seven 1-ounce beef sticks. PORK, ALLIGATOR, SALT, DEXTROSE, BROWN SUGAR, SPICES, WATER, CITRIC ACID, GARLIC, PAPRIKA, ONION, CHILI POWDER, STARTER CULTURE, SODIUM NITRATE, STUFFED INTO BEEF COLLAGEN CASING FD&C RED #3.